According to the Constitution the control of the health services in the Federal Republic of Germany is the task of state institutions. Highest authority is the government, represented by the Minister of Health (Minister für Gesundheit), which is assisted by the federal state governments, represented by the respective health ministers, which supervises the training in different medical and paramedical specialities.The different study courses lead to state examinations that have been laid down according the regulations (Approbationsordnung(AO) for physicians). 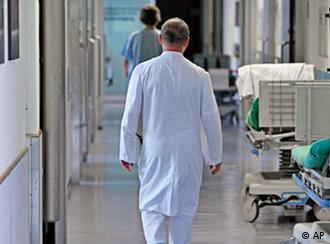 In addition, this authority controls the whole of the health services in the Federal Republic of Germany. – that a minimum of six years of studies is compulsory. A minimum of 2 years of preclinical studies and a minimum of 4 years of clinical studies including a 12 months lasting practical year. Having met the two requirements above, or after having achieved equivalent, recognised results outside of the FRG any possible applicant of medicine from any of the EC Member States – if he/she has a good command of German, and is physically as well as mentally in good health and is not a drug addict – may apply for registration (Approbation). The Minister of Health of the respective Federal State reviews the applications on behalf of the Federal Ministry for Health (Bundesgesundheitsministerium). Registration is issued when the Minister of Health considers the entitlement to be valid. 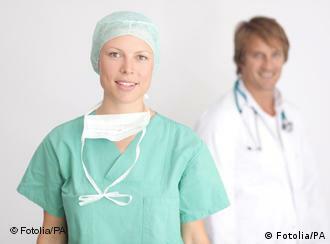 The Registration entitles a doctor to practise medicine in the Federal Republic of Germany. 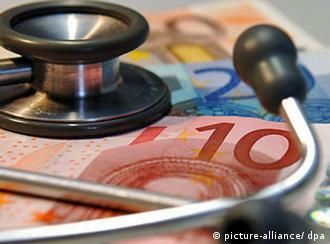 Additional regulations passed and controlled by the Federal Medical Council (Bundesärztekammer ) in collaboration with the General Medical Council of the Federal States (Landesärztekammer) exist for work in particular specialist areas of medicine. a clinical part of a minimum of 3 years of studies (6 semesters). For non-EU is a very hard duty to achieve a chance for PG in any discipline however there are no.of vacancy created all day in Germany. For PG you must have. :–three years post diplom Experience,-a good knowledge of German-Recommendation from health ministry of your own country for higher education-Stipend or sponsership from any organization or any body to accomodate here.Some more demands from bureaucrate may be…? In short cut for non EU doctors it is difficult to adapt here.Other than xaminations,bureucratie here is peak complexed.For the residency,Germans,EU then non EU doctors resp.are prefered.However sometimes doctors from third world are selected by Chief doctors,but they would not take any guarantee for work permit and residential permit in Germany which is quite tough and complex. The Federal Chamber of Doctors would probably be a good starting point to find out about the requirements for Non-EU-citizens who would like to work as doctors in Germany, here’s a link with some basic information: Click here. “According to the Federal Medical Profession Law (Bundesärzteordnung, BÄO) Non-EU/EEA-citizen can apply for a provisional licence (Berufserlaubnis nach §10 BÄO). It is issued by the regional authority of the Land in which the post is based. For a successful application non-EU citizens are required to show proof of a concrete job offer and work permission in Germany. They may also be required to pass an oral exam in German language.” Also read here: Click here. 3. Or if h/she would like to do further study u can search in daad.de as well! A. Residence Permit (Aufenthaltserlaubnis)B. Working Permit (Arbeits- und Berufserlaubnis)C. License to practise medicine (Approbation): The constitution of Germany gives most government powers to its 16 constituent Bundesländer (states). The foreign medical graduates from non-EU-States have to get the Approbation from the responsible state authorities (Bezirksregierung) as licensing bodies. Some States demand a so called Adaptationtime (Anpassungszeit) before giving a “Approbation”. In this Case the Applicants have to work with a preliminary Professionpermit (vorläufiges Berufserlaubnis) between 12 or 18 Months, depending from which Country they are coming, in a Hospital. The Adaptation-Time must be split between the departments internal medicine, surgery and a third Specialty. The second step for doctors after getting approbation is to register themselves with the responsible state medical associations (Landesärztekammer). Applicants have to prove, they have sufficient knowledge of the German language (kleines Sprachdiplom vom Goethe Institut) . In our forum our expert answered many questions about medical studies in Germany. What are the tests that a foreign student should pass?I think there are no special tests to be passed. You need your school leaving certificate from your high school and might have to take a course at a Studienkolleg in Germany, if this certificate is not equal to the German Abitur. Also, at most universities you need proficient German language skills. How long is the waiting time before one gets accepted to medical school. Would it make sense to study a Bachelor program first? Or do you have to start all over again from the first semester anyways?If you have excellent grades there’s no waiting time at all. If you don’t, it makes sense to study something else in the meantime because many applicants have to wait approx. three semesters till they get a place at medical school. What do professors expect from a student? What qualifications should I have to fulfil the expectations?Professors want students who are eager to learn. They like well educated students from all over the world. I think to be interested in medicine and culture is an excellent qualification. Self engagement is necessary and will be estimated. What is the main obstacle beside the language for international students studying medicine in Germany?The language is really the key. Obstacles are the same worldwide. It is mainly the administration for example the registration. Students have to be open for German culture. Although the country is multicultural, the life’s of many are based on Christian values. People who are confident in themselves, their culture and religion, like the dialogue and are able to discuss open minded will face few problems. I want to study medicine at a Federal university in Germany but I don’t know how to apply.Foreign students have to apply directly to the university or through uni-assist, a service some universities use for their application process. First of all you should select those universities you would like to study at and then get in contact with their international office to find out about the correct way of application. They will also tell you, which documents you need to submit and whether a German language certificate like TestDaF or DSH is required. I heard that doctors are very demanded in Germany. Does it make it easier for medical students from abroad to enter the unversity?This is an ongoing process. It is quite likely that regulations will become more comfortable for students during the next three to five years. If I study German language for one year, will I get accepted for medical studies right away after finishing this course?Studying medicine at German universities is usually in German language. Only molecular medicine will be taught in English. A good command of German is essential for living and studying here. In general either the „Deutsche Sprachprüfung für den Hochschulzugang“ (DSH) or Test DaF is required. Unfortunately there is no guarantee that a successful language test leads to acceptance as a medical student. It depends also on your marks and the individual university, whether a candidate will be accepted or not. How can I know that my grades are good enough?You can either contact the international office of your favourite university and ask for the Numerus Clausus (NC) of last year’s application process or simply apply right away and see what happens. In case I have obtained a degree from a foreign university, where can I get my certificates recognized?Your certificates must be translated into German and notarised by a federal institution for example the German Embassy. I would love to study medicine in Germany. I am ready to apply through hochschulstart.de. Which is the last date for applying and which address do I send my report card to?Just like German students, foreign students from European countries apply through hochschulstart.de. Please have a look at this website and read the detailed description about the application process. Foreign student from Non-EU countries either apply directly to the university or by using uni assist. Please contact the international students office of your favourite universities and find out how to proceed. Swedish students are most welcome. 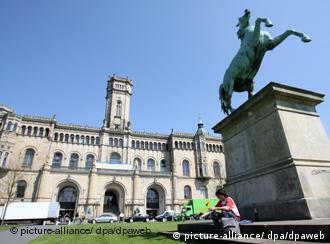 It is much easier for students from European countries to study in Germany than from Non-EU-countries. Can you recommend me some good medicine universities in Berlin or Munich?Why only Berlin or Munich? There are 32 medical faculties in Germany all working on a very high level. In contrast to many other countries the local universities have the same standard than the one in the capital. Is it hard for a student from a Non-EU country to get accepted?It’s not only tough for foreign students but for German ones as well because studying medicine is very popular among students and there are a lot more applicants than seats available. But, a certain amount of these places is reserved for Non-EU citizens. I want to study psychiatry in Germany. I heard, I can major in psychology first in undergraduate studies and study psychiatry in graduate studies in medical school. What are the ways or procedure to study to be a psychiatrist and how long will it take to get through?You must have completed six years of medical study under the German State Examination (Deutsches Staatsexamen). Psychiatry is a postgraduate training which takes another four years including one year of neurology. It’s a fascinating subject but it will take at least ten years in total to complete. Anyhow many people did it and liked it very much. Do I have to study pre-medicine or do I go straight to university? And how long will it take?Medicine usually takes six years which equals twelve semester to complete including one year of practical training (semesters 11 and 12). No pre-medical study is necessary. How is a German medical universities’ curriculum now compared to other universities in the rest of the world?There are two main parts: The first two years cover theoretical medicine like biology, anatomy, histopathology, chemistry, physics and so on. Starting with the third year it will become medical education and training in subjects like internal medicine, surgery or ENT. In general the quality of all medical faculties is excellent and has a great reputation worldwide. Please comment on the possibilities of specialization after doing general medicine in another country. I am particularly interested in radiology.There are different regulations for the postgraduate medical training e.g. radiology. Depending on the home country the medical study will be fully or partly accepted. Students from the former soviet union usually have to pass one year medical training in Germany to get full acceptance of their medical study. Most students from Africa or India will have their medical study accepted and can directly apply to a German faculty for postgraduate training. Radiology for example will have a four to five year training ending with an oral examination, which leads to the acceptance of a radiologist by German law. I would like to study Medicine in Germany, but I’m not sure what I need to study there . Do I already need some experience or one year of studies or an internship?It is possible to start medical study right from the first semester without any previous studies. internship is demanded. It is usually done at a hospital for at least four weeks. Again, one of the most important requirements is your knowledge of German language. Is there a chance to combine practical training with theoretical studies at universities in my fourth year?Yes, in the fourth year it’s possible. Even at an earlier stage of your studies internships and practical training are already included in the curriculum. Is there a possibility for a foreign doctor in Germany to do in the same time specialization and research?Yes, of course. Nearly all university hospitals will offer you the opportunity to do a postgraduate training and research. Sometimes it might be a help to concentrate on a research project for three to six months to finish it. I am studying now biology in the first semester but my aim is to study medicine. Is it possible to change to medicine in my third semester and start from first semester medicine?No. The graduate points you earned in biology will not be accepted for biology in medicine. There is no way to get three semesters of biology accepted for medicine. When does the first semester start?Usually October 15th and April 15th. One academic year in Germany is divided in two semesters. I am studying medicine at the University of Nis, Serbia in the ninth semester and have very good grades. I speak German and have obtained the Goethe certificate B2. Is it possible to continue my studies at one of the German Universities?I would advice you to finish your study in Serbia first. With your good marks and your German language skills it should be possible to get a full paid postgraduate training working place either at a university hospital or a local academic hospital, depending on the specialisation you are most interested in. I have finished my Bachelor’s degree in medicine and I want to specialize in surgery in Germany. What are the steps for this?Medical study in Germany has not adapted to the Bachelor and Master system just yet. Usually two years of study lead to the bachelor. That would mean, that you have to study another four years to obtain a master’s degree and pass the German State Examination (Deutsches Staatsexamen). After that you can start your postgraduate training as a surgeon. The surgical track includes four years of general surgery and two years of specialization. What is the meaning of a research stay? And how is that different from a full doctorate?Usually a research stay is up from three to six months sponsored by an international agency. A doctorate is an university intern track – usually a research project that has to be written in Germany and has to pass the medical faculty. The medical faculty will give the applicant after passing total and formal requirements the German „Dr. med.“. Once I have finished studying medicine in German language, how am I going to work in an English country?All EU countries will accept your medical degree you have obtained in Germany. The only difference will be the working language, because the skills you have gained are essential. Who is allowed to supervise a Ph.D thesis in Germany? A Dr. rer nat or Dr. med?Both of them, if he or she is a member of the faculty. Even a Dr. rer. nat. can supervise a medical Ph.D thesis. Usually a Ph.D thesis or a German Dr. med. are supervised by medical professors. I would like to study medicine in Germany and in another country. At which point of the study can I change without losing semesters?Depending on the university it might be possible to change at any level. I would not advice to change earlier than after one year or in the last year. Only for Bangladeshi students: 2. Application: In this part here is written that the students should submit their German language certificate like DSH or Testdaf.But in case of Bangladeshi students we have to complete the ‘Studienkolleg’ with ‘M’ kurs. This is a preparatory course of medizin (medicine). For this, we have to take part in ‘M’ kurs (required for medical study and biology specially).After completing the Studienkolleg successfully we have to submit our ‘M’ kurs final result to the Universities where we want to study Medicine.And then the university will decide whether i can study medicine in that university or not. Do I have to study pre-medicine or do I go straight to university? And how long will it take? Yes pre-medicine course is necessary for Bangladeshi students.This is the ‘Studienkolleg’ ( preparatory course).After getting the result of Studienkolleg we can apply to the Universities directly or through Uni-Assist.It takes 2 semesters to complete Studienkolleg. Hi..I have passed mbbs on 2012..I want to do MS in ophthalmology.. Is it possible? ?